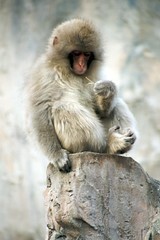 Here are some more pictures taken at Ueno Zoo last November. Haven't looked at the whole set, but the lemurs popped up as recent photos from my contacts, and I liked them a whole lot. Lemurs! Lemurific. Lemurs are great photographic subjects. As are the monkeys. Which probably explains why the set is mostly lemurs and snow monkeys.